Poetry Returns to Morden Tower! Award-winning Newcastle poet Catherine Graham reading from her first full collection Things I Will Put In My Mother's Pocket. (Indigo Dreams Publishing). “Graham writes with a sharp eye for detail, building glorious pictures that reveal and explore her subjects in new and exciting ways. She is incisive, direct and there is something fresh about her approach and style that makes these poems very readable and memorable.” Jim Bennett. 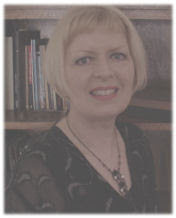 Joining Catherine will be Sheree Mack (ID on Tyne Press) who will be reading from her latest collections.